Here you will find our selection of limited edition images available for early purchase. None of these images have been seen in print outside of our own walls and have never been available for purchase, until now. These images will grace the walls of our upcoming gallery, but are available here for those who do not wish to wait! Limited editions come in only our most premium printing processes and mounts and are sure to wow the most discerning viewer. They are all meticulously inspected, signed and numbered and come with a certificate of authenticity. They are strictly limited, for those who desire a unique piece for their home or office. Please email or call us for current availability of your favorite images or to discuss your space. This is one of those images I'm proud of. I spent more than two years searching for this hidden gem, and as it turns out it required putting the camera gear at great risk. This image is meticulously edited to the highest standard I have yet achieved, with hours and hours spent in post processing to make it as perfect as possible. 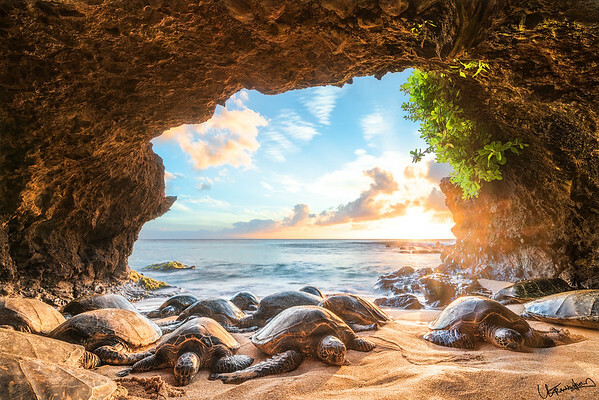 This wonderful moment on the west side of Maui prints beautifully and is available to the largest size, with wonderful detail and sharpness throughout. 3:2 aspect ratio, edition of 550. 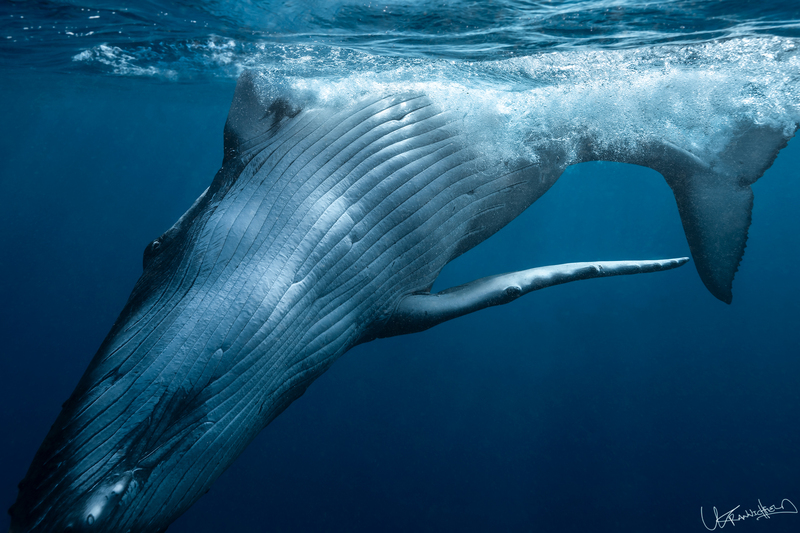 Later in life, the flukes of a Humpback become their fingerprint of sorts, with unique marking that allow researchers and scientists the ability to identify individuals. For now, this is just the business end of an energetic young baby that doesn't QUITE understand its own strength just yet. I knew this was a shot I wanted to get this past season, though I wasn't quite sure if the opportunity would present itself and frankly how it would go for me and my camera. This baby made it easy on me, moving into position all on its own and rolling gracefully with minimal bubbles from disturbing the surface. Thanks little one! More than a dozen visits to this spot in East Maui finally paid off with beautiful light and perfect flows. Patience pays off (finally)! Prints beautifully to the largest size. 3:2 aspect ratio, edition of 550. There are sunsets that surprise you, coming out of nowhere to light up the sky. This was absolutely not one of those! This is a location I've scouted a few times before, so as I wrapped up a show nearby and saw the clouds shaping up for a great sunset facing north, I knew it was time to shoot this one. When the sky lit up, I found myself moving further and further into the water to capture the best angle, ending up waist deep, holding my tripod down with both hands to keep it as stable as possible while holding the camera remote between my teeth. Strange looks? Perhaps. Worth it! 3:2 aspect ration and available to 40x60. Edition of 525. 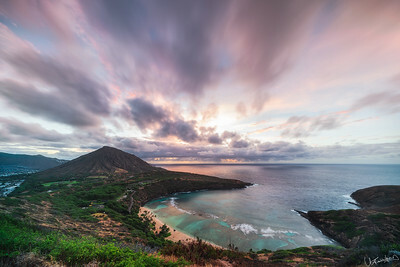 A hike in the pitch black well before sun up rewarded us with this stunning pastel sunrise over the iconic Hanauma Bay on Oahu. This was my first time hiking this ridge and while the wind threatened to whip us right down to the beach, I'll do it again in a heartbeat! Available to the largest size. 3:2 aspect ratio, edition of 550. 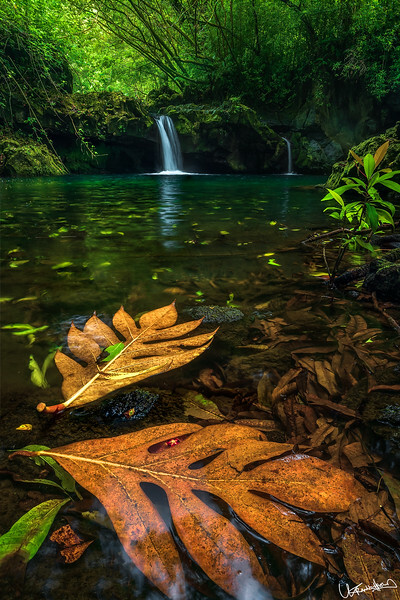 Seems there is an endless supply of quiet swimming holes along the Road to Hana. It's wonderful to be able to get away and have a little oasis like this to ourselves, though it's getting harder and harder as the road gets more pressure. 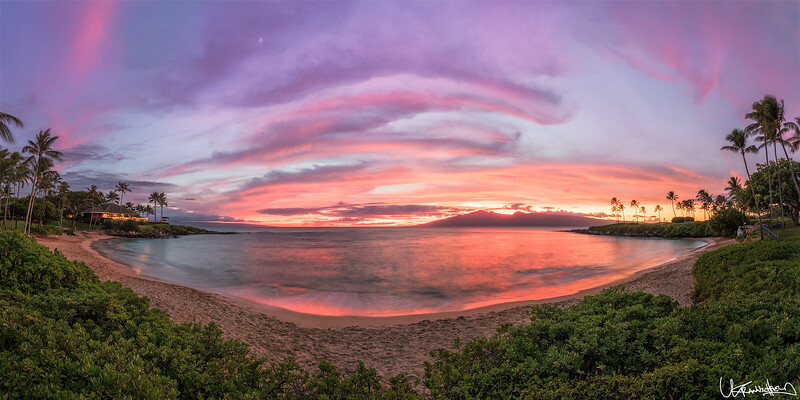 Things are changing quickly (especially in East Maui), so for now we count our blessings. available to the largest size, 3:2 aspect ratio. Edition of 550. There are a few moments that stick in your brain forever, leaving you speechless in the moment and forever changed. 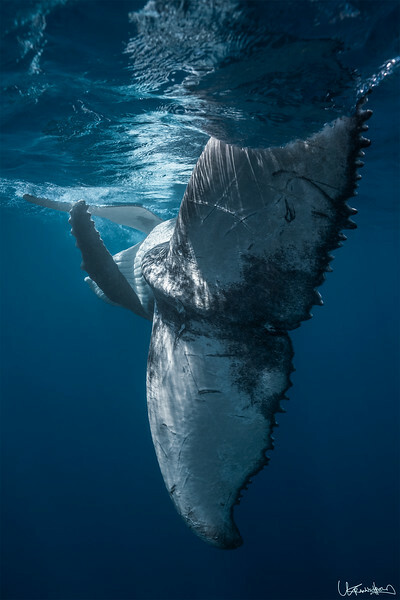 I've spent more than a month of my life in the water with these special animals, but this particular Humpback is one I'll surely never forget...and it didn't take long for him to make a strong impression. As I swam over from the boat, this rambunctious calf came out of the depths directly beneath me and breached where I was just a second before. Amazingly, even this young baby knew (and had the control) to land away from me. I am indeed grateful for that! We had an absolutely magical thirty minutes, and this shot really encapsulates it for me: Very close, very playful, and very energetic. I hope you love it as much as I do! Available to 40x60, 3:2 aspect ratio. Edition of 525. 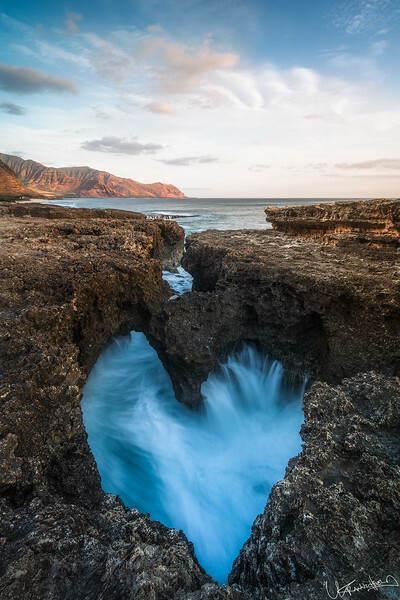 Spent a sunset exploring the west side of Oahu looking for this amazing formation in the rocks along the coastline. It's easy to walk right by if you aren't looking deliberately, as the heart shape only becomes apparent when the water is just right. I love the contrast between the crashing, rushing white water and the still lava rock that makes up so much of this place. Available to the largest size, aspect ratio of 3:2. Edition of 550. It's easy to feel isolated when you live on an island in the middle of the Pacific and even more so when there is a hurricane slowly but surely headed your way. This was shot just before sunrise, when Lane was still a category 4 and somewhere out there in the gloom, pointed right at us. To me, this image captures that sense of isolation and impending doom that we were all feeling while we waited for the unknown. Available to the largest size, 3:2 aspect ratio. Edition of 550. 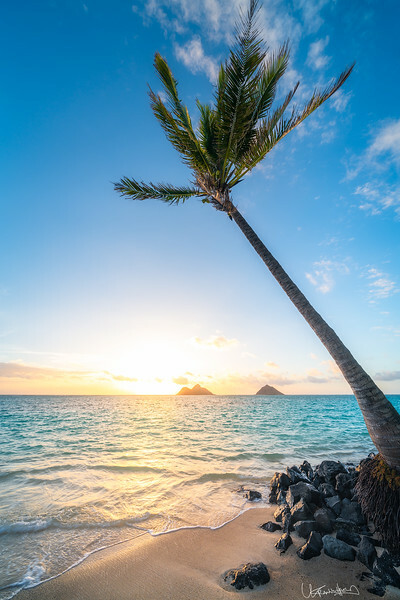 Beautiful turquoise water, soft white sand and the recognizable 'Mokes' off in the distance, it must be Lanikai Beach on Oahu! 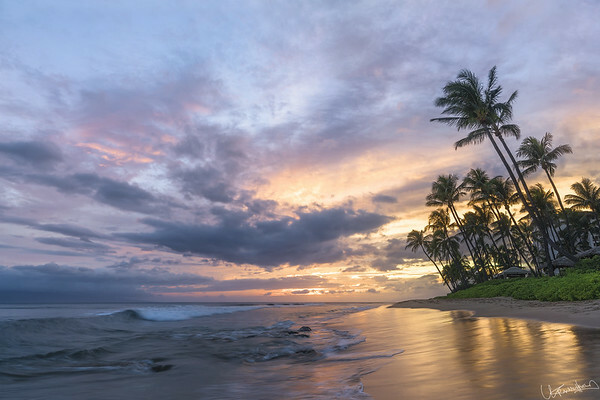 This was shot at sunrise, with the beach to myself except one lone resident walking their dog before the crowds arrived. When I'm looking for an image, I tend to wander all over with my camera in hand and take in the scene before me. I struggled here for a bit before realizing that I felt like the twin island were calling out and this lone palm was calling back. The rest of it came together naturally after that. Available to the largest size, 3:2 aspect ratio. Edition of 550. 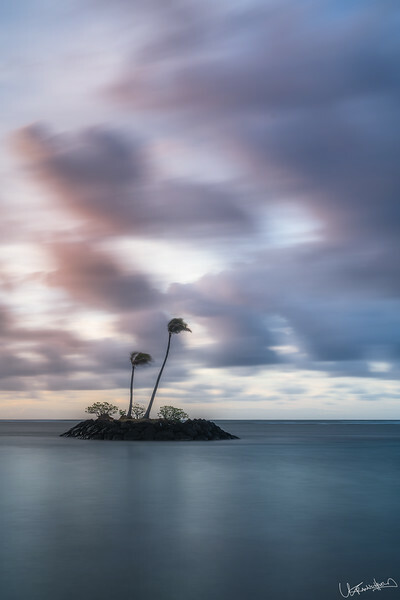 Somewhere along the coastline of Oahu, I found myself drawn to this isolated little island with its twin palms. 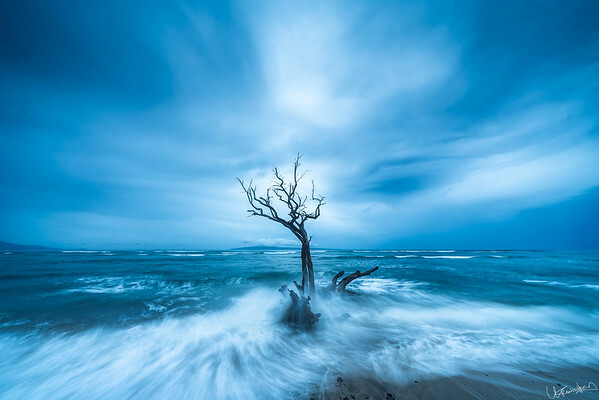 It struck me how solitary it was, and I chose a long (minute plus) exposure to accentuate that feeling and really give it a sense of passing time. Available to 40x60, aspect ratio of 3:2. Edition of 525. The sun makes it's way skyward over the Honolulu Skyline, with just the faintest whisper of wind kissing the waters surface. This is a meticulously crafted large scale production from nine individual images, filled with magnificently crystal clear detail. In it's largest sizes, the individual railings can be counted on the resort balconies! Stunning up to 10' wide! 3:1 aspect ratio, edition of 440. End to end with a beautiful fiery sky. Not a hint of wind this evening, with the sliver of a moon adding to the elegance of the colorful sunset. With the colors changing quickly, all I could do was shoot as fast as possible and hope I had it properly planned and executed. 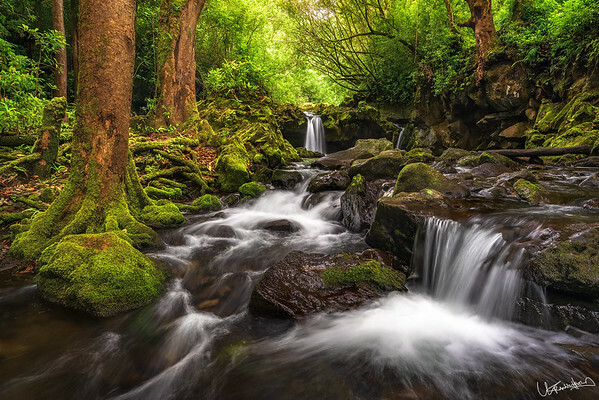 The end result is this sixteen image panorama painstakingly stitched together to create an image filled with exquisite, sharp detail. Available to the absolute limits of printer and camera technology to date. 2:1 aspect ratio, with an edition of 550.